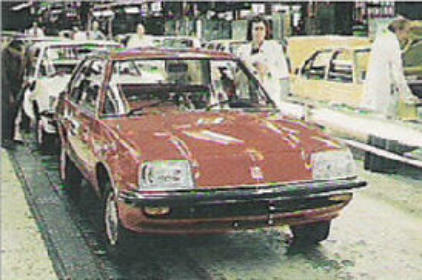 The first Cavalier built at Luton is driven off the line, the car was a 1300 which was launched in the UK at the same time. 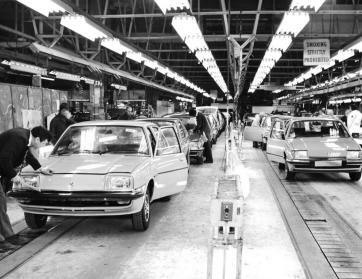 These two cars are the mock ups for the HD Viva replacement and are a size up from the HC which would have taken them into the mid-range company car market. 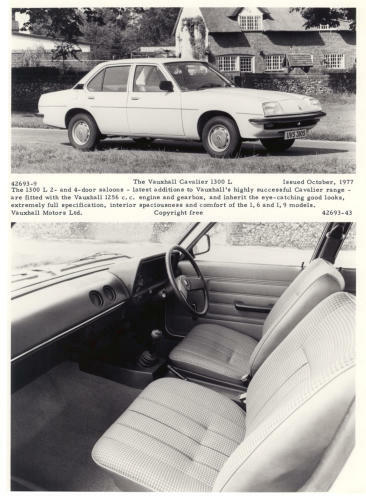 Note the strange, for Vauxhall, door handle arrangement also the HC indicators at the front and the family resemblance to the FE with the side window design - if it had reached production the rear window would not have wound down fully. 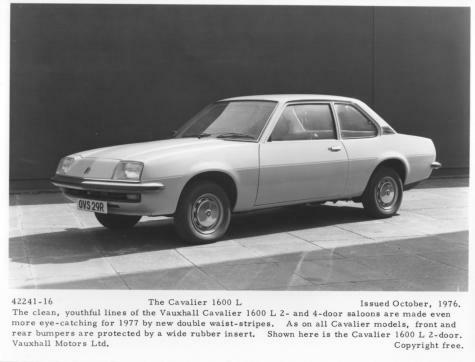 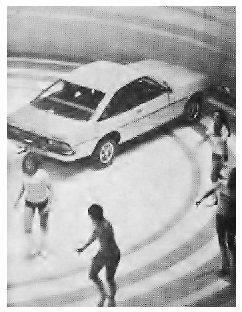 The car was not going to use the Viva name and even though these are only mock ups they are both badged as Cavalier, the other name being considered was Chevelle. 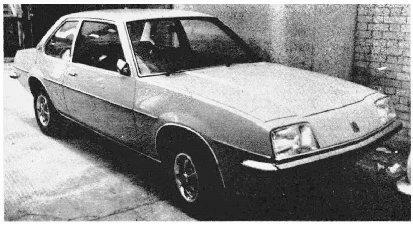 The 2-door 1600 GL that was left at Elstree and not taken to Earls Court. 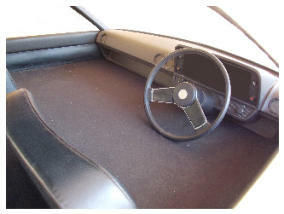 Two views of the U-Dash board mock ups. 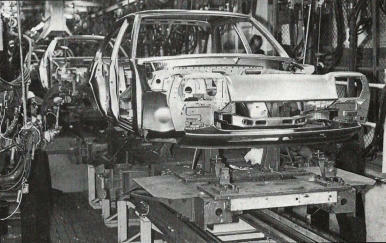 Cavalier Mk1 in production at Luton. 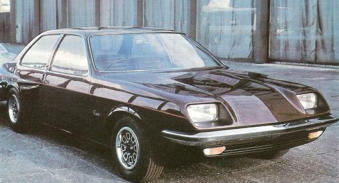 A U Car mock up on the viewing terrace at the Design Department featuring a "Ferrari" style front end design, both Ed Taylor Wayne Cherry, owned a Ferrari. 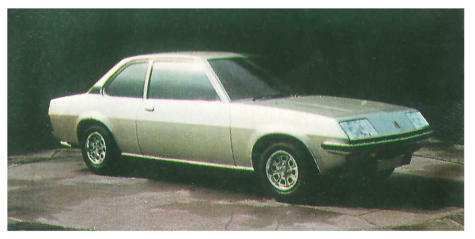 Another mock up on the viewing terrace this time getting closer to the final production appearance apart from the flush headlights. 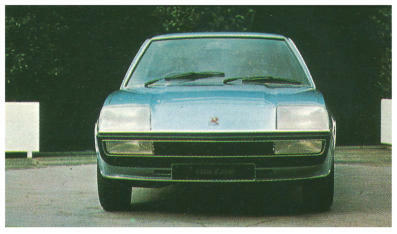 Possibly the best looking study of all with a very neat front end and bumper / lighting arrangement again with Ferrari GT400 overtones. 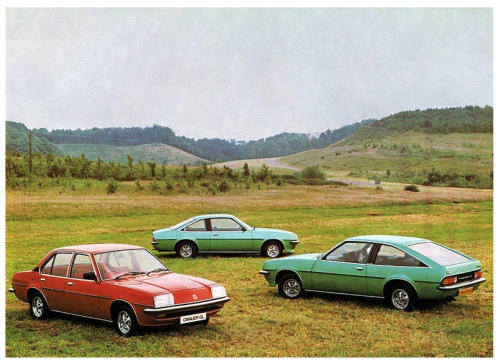 The range of Cavalier Mk1 body styles - Saloon, Coupe and Sportshatch. 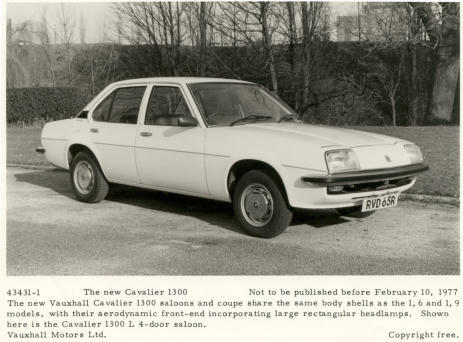 The 1977 Cavalier Mk1 1300 L Saloon. 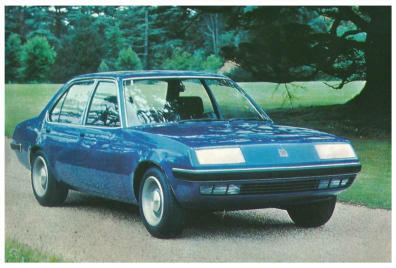 The 1976 Cavalier Mk1 1600 L Saloon. 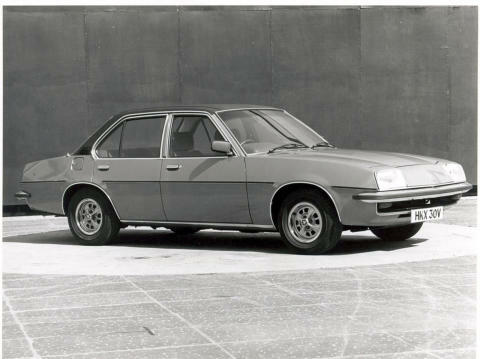 The 1980 Cavalier Mk1 2000 GlS Saloon. 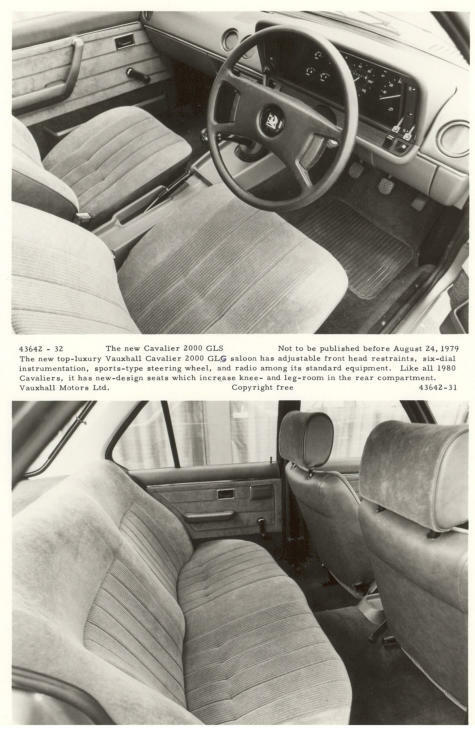 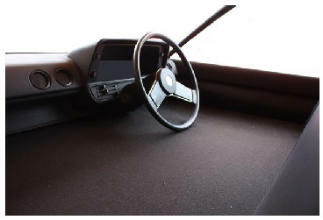 The 1980 Cavalier Mk1 2000 GlS Saloon interior. 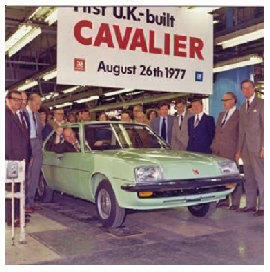 Cavalier Mk1 shell on the production line.